LONDON, 13 SEPTEMBER 2018. EY today announces combined global revenues of US$34.8 billion for the financial year ended June 2018. Overall, financial year (FY) 2018 revenues grew by 7.4% in local currency and 11% in US dollars (versus FY17). All EY service lines delivered strong growth in FY18: in local currency Assurance grew 4.4%; Advisory 10.1%; Tax 6.4% and Transaction Advisory Services (TAS) 13.9%. Over the five years since the launch of its Vision 2020 plan in 2013, EY has recorded strong 8.5% compound annual growth. EY has been redefining how it uses technology to transform and strengthen its traditional and new service offerings across all businesses, including labor-intensive manual processes and innovations using blockchain, artificial intelligence (AI) and robotic process automation (RPA). EY is using over 2,000 bots across its businesses and client services. Of these, the 700 bots supporting EY internally have saved more than 2.1 million people hours and brought higher accuracy to manual processes. In FY18, EY doubled the number of blockchain projects it undertook and launched a number of groundbreaking solutions and pilots. EY Assurance is running a pilot of blockchain audit technologies known as EY Blockchain Analyzer that enhances the ability to perform in-depth reviews of cryptocurrency business transactions. This will also lay the foundation for automated audit tests of smart contracts and blockchain assets. Additionally, EY teamed up with Microsoft to launch the first blockchain solution for content rights and royalties management. Ubisoft, one of the world’s leading game publishers, is testing the solution, which will be extended from gaming to other industries like music and publishing. EY and Guardtime also announced that their blockchain platform for the marine insurance sector is now in commercial use – a world-first. EY is also working with the City of Vienna using blockchain to validate and secure its data, from voting results to transport schedules and routes. Targeted strategic acquisitions and alliances also supported EY’s innovation efforts. In FY18, there were 21 acquisitions in EY, which expanded the organization’s professional skills and capabilities in areas like digital, data, analytics, strategy and cyber. New alliance agreements, such as those with BlackLine Systems and JDA Software, are expanding the range of services and skills EY can bring to clients in areas like cloud-technology, supply chain and fintech. As part of its innovation drive, EY will invest US$1b in new technology solutions and capabilities over the next two financial years in areas like financial services, cyber, risk management, managed services, software, digital tax and digital audit. In FY18, two additional EY wavespace™ flagship locations opened in Milan and Tel Aviv, bringing the number of globally connected flagship innovation centers to 18. EY plans to launch a further six locations in FY19 to continue its aim to help clients conceive and launch solutions in mobility, customer experience, data analytics and more. As a multidisciplinary professional services organization, audit quality is — and will always be — the highest focus at EY and is the key measure of its reputation. To stay relevant and to deliver long-term value through EY services, the Assurance business is evolving its thinking and judgments around the execution of the audit process to help ensure audit quality. The EY Sustainable Audit Quality program, in its fourth year, continues to improve quality by holding EY people accountable on a specific set of metrics that are executed globally. This is complemented by the multi-year US$500m investment in digital audit capabilities, people and global audit methodologies. EY continues to transform its approach to talent, providing meaningful career opportunities and enabling EY people to develop “hot” skills. Last year, it introduced digital credentials known as EY Badges to help EY people cultivate skills related to emerging technology, innovation and sectors. Today, more than 15,000 EY Badges have been initiated and more than 2,800 EY Badges have been earned, with data visualization and RPA being the most earned badges to date. In FY19, EY aims to have 50,000 badges initiated. EY strives to be a leader in the recruitment and development of people around the world. In FY18, nearly two million people applied to work in the organization. More than 65,000 people with core audit and tax skills as well as STEM (science, technology, engineering and math) and technology backgrounds joined. Today there are more than 20,000 data and analytics practitioners and more than 2,000 data scientists in EY. Approximately US$500m has been invested and more than 13 million formal hours in learning have been conducted annually, on top of experiential development and systemized mentoring. Overall, headcount increased by 5.7%, to over 260,000 people globally. In FY18, 747 people were promoted to partner and more than 400 new external partners were admitted. Partner promotions reflected key priorities: 29% of the promoted partners are within the Assurance business, 32% of new partners are from emerging markets and women represent nearly 30%. This year the gender diversity on the Global Executive, the highest governing body in EY, increased to more than 26%. The EY global talent marketplace, called GigNow, is currently available in 10 countries, expanding from the US, the UK, Ireland, Australia and New Zealand to Canada, China, India, the Netherlands and Singapore. At the end of FY18, GigNow had 16,000 contractors registered for short-term “gigs” and filled more than 1,300 positions for EY projects around the world. EY continues to be recognized on prestigious lists for its outstanding people culture. It continues to be the world’s most attractive professional services employer for business students in Universum’s annual “World’s Most Attractive Employer” ranking, and fourth overall behind Apple, Google and Goldman Sachs. In the US, EY was recognized in Fortune’s “100 Best Companies to Work For®” annual list for a record 20-consecutive years. EY was also inducted into Diversity Inc’s first-ever “Top 50 Hall of Fame” recognizing EY’s corporate values, culture and its longstanding commitment to diversity and inclusion. Revenue increased across all four of the EY geographic areas: the Americas 7.4%; Europe, Middle East, India and Africa (EMEIA) 6.9%; Asia-Pacific 10.5% and Japan 3.1%. Across the developed markets, the US has had another impressive year, achieving US$14b in revenue, a 7.3% increase over FY17. The Transactions business led the growth in the US buoyed by a strong M&A market and increased demand for strategic consulting, integration, diligence and other services. Its double-digit Advisory growth was driven by areas including cyber services, digital, analytics and technology transformation, while Assurance continued a steady flow of new audit engagements, including two Fortune 500 corporations. Elsewhere, Germany achieved strong growth, led by double-digit growth in TAS and Advisory. EY also saw strong growth in Australia, Canada, Italy, the Netherlands and Spain. The emerging markets continue their strong growth trend and are up by 10% (vs. 8.9% growth in FY17). Greater China, one of EY’s top five markets by revenue overall, recorded its third year of double-digit growth, up by 11.6%, driven by strong growth across all EY service lines. India continues its eighth consecutive year of double-digit growth, up by 16.3%. Mexico also achieved double-digit growth at 15.3%. EY recorded strong revenues across various industry sectors with Wealth & Asset Management and Insurance both achieving double-digit growth. Growth in Wealth & Asset Management was driven by strong demand for technology and business transformation, customer experience and operational efficiency initiatives. Insurance achieved double-digit growth from demand for technology and business transformation services across Advisory and Tax, as well as providing clients with IFRS 17-related services including finance, risk and regulatory advice. ► Assurance: Audit quality remains an unrelenting focus. Through long-term and continued investments in digital technology, EY people and its global methodologies, the business achieved increased growth of 4.4% (vs. 4% in FY17). Its EY Canvas and EY Helix audit platform and tools are enhancing quality and confidence to meet the evolving needs of business, regulators and investors. Further innovations to support audit quality in FY18 include: EY Lease Reviewer, which uses AI to support transitions to new accounting standards; EY Canvas mobile applications, which are radically transforming the support of an audit, providing more connectivity and streamlined communication. Its market-leading audit technology is a major factor in new audit clients. New engagements include: BHP Billiton, General Motors, Grupo Bimbo, Jiangxi Copper, Standard Chartered Bank and Tate & Lyle. Financial Accounting Advisory Services once again delivered impressive double-digit growth, by supporting clients with the adoption of numerous accounting standard changes and providing accounting support to clients with transactions (IPOs, divestitures and more). EY also continues to build a broader set of Forensic & Integrity Services offerings that help organizations protect and restore enterprise and financial reputation. ► Advisory: Strong client demand for services for technologies – including intelligent automation, blockchain, Internet of Things (IoT), data analytics and cybersecurity – contributed largely to Advisory’s eighth consecutive year of double-digit growth. New and existing global strategic alliances continue to support revenue growth. In FY18, EY announced four new joint solutions with Microsoft and it teamed up with JDA Software to transform EY clients’ supply chains by delivering the latest digitalization advances. It also formed an alliance with BlackLine to expand EY services to clients to improve finance and accounting operations. Strategic acquisitions – like Melbourne-based Open Windows and Aspect Security – continue to support high- growth areas like cybersecurity. ► Tax: Global and US tax reform and legislative-driven demand for transfer pricing and indirect tax services led the growth of the Tax business. Digital technology is changing how organizations and authorities manage tax reporting and obligations. 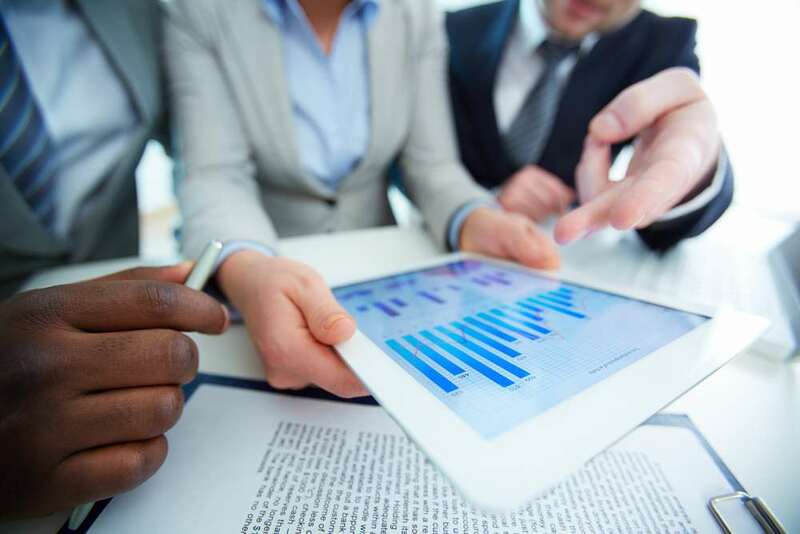 This also boosted revenue growth as clients sought digital tax administration services and support with the application of blockchain, robotics and AI in tax operations to manage tax “big data.” To complement its digital portfolio, in FY18 EY acquired the technology assets and related patents for a Crypto-Asset Accounting and Tax (CAAT) tool to support tax liability calculations for cryptocurrencies and crypto-assets. Additionally, demand for EY legal services fueled its expansion to more than 2,200 law practitioners in more than 80 countries around the world. EY People Advisory Services continued to grow and announced a collaboration with Concur on the first fully integrated tax and immigration solution for business travelers. ► Transaction Advisory Services: The fourth consecutive year of double-digit growth in TAS was led by an across-the-board increase in all its services including capital strategy, corporate finance and divestments. In FY18, it advised on 8 of the top 10 global M&A deals. As clients pursue digital transformations, they are increasingly turning to EY TAS to advise on capital allocation strategies, as well as to access to leading-edge analytical tools applied to M&A, divestments and capital infrastructure investment programs. ► As part of its commitment to inclusive and long-term growth, EY has been working with the Coalition for Inclusive Capitalism and more than 30 companies representing nearly US$30t of assets under management on a framework to reflect the full value companies create. This follows calls for businesses around the globe to demonstrate their contribution to long-term value creation for all of society. EY and the Coalition will share their progress and commitments in November this year. ► EY NextGen is helping young girls in South Africa pursue degrees in fields such as medicine, engineering and accounting. ► In the US, EY is helping students, unemployed people and startups in local communities to develop their public speaking, networking and presentation skills so they have the confidence to lead and grow professionally. ► Through its neurodiversity program in the US, EY is hiring people on the autism spectrum and sharing program leading practices with other leading organizations around the world to help address the broader unemployment challenges people with autism face. ► In Kenya, EY is working with Sanergy to help scale a business that is helping to make basic sanitation affordable and accessible in some of the poorest areas of Nairobi. Investments in people and new technologies not only help EY succeed in the market, but sustains its role in building a better working world. „ Commitment to EY people: measures on career progression, investment in new skills, people engagement scores, attrition rates and diversity and inclusiveness. „ Service quality, environmental and stakeholder relationships: measures on sustainable audit quality, greenhouse gas emissions and community impact, and commentary on relationships with regulators and alumni. „ Growth: traditional growth metrics and relative brand strength.